What could be described as the quintessential American panel, corrugated panels have been dotting the landscape of the U.S. for a hundred years. The simple reason behind this is their durability. The natural shape of a corrugated metal panel gives it a structural advantage over a Standing Seam or R Panel of the same base material. Additionally, the consistent corrugation helps hide small imperfections over time from weather or impacts. For these reasons, corrugated metal systems have been used across the country for years. At Bridger Steel we have four Corrugated roofing panel options. The largest is our 7/8" Structural Corrugated, a heavy-duty 22 Gauge panel that works well as a weathering steel roofing option. A unique roofing option, the 7/8" Corrugated panel is also available in a radiused options. We carry a Traditional 3/4" Corrugated Panel that comes with an anti-siphon groove to help create a moisture barrier and prevent leaks. This roofing panel is available both in a premium selection of metal colors, or an affordably priced 29 Gauge corrugated option with a standard color selection. For more subtle profiles, we offer 1/2" and 1/4" Corrugated Panels that work well for smaller accent roofs, but are not recommended as full roofing options. As colors go, Bonderized, Vintage and Rusted Truten™️ A606 or Corten Panels are among the most popular options for corrugated roofing. Often people are looking for an aged look, or a dark finish. Each of these options work well for those needs. The rusted corrugated roof. 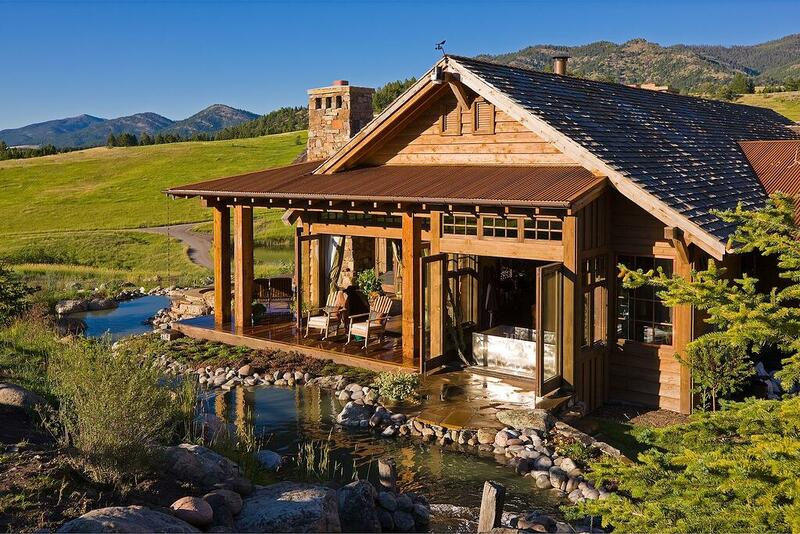 It can be found in Texas Rustic, Modern Mountain, or Ranch styled residential designs. We carry both Corten Roofing panels, and our own recipe, Truten™️A606. Truten™️ was designed to patina faster to help protect the base layer of metal. We offer all of our roofing panels in both Corten and Truten™️ options. Popular due to it's slightly more subtle corrugation than it's larger alternatives, the 1/2" Corrugated is a favorite for accent roofs and low sloped porch roofs.